Tamil film actress Gautami Tadimalla has written a blogpost addressed to Prime Minister Narendra Modi, raising questions and demanding a probe into the "secrecy" maintained by the Tamil Nadu government about late chief minister Jayalalithaa's death and treatment in Apollo Hospital, Chennai. The 48-year-old star questioned why nobody was allowed access to her when she was admitted in the hospital. 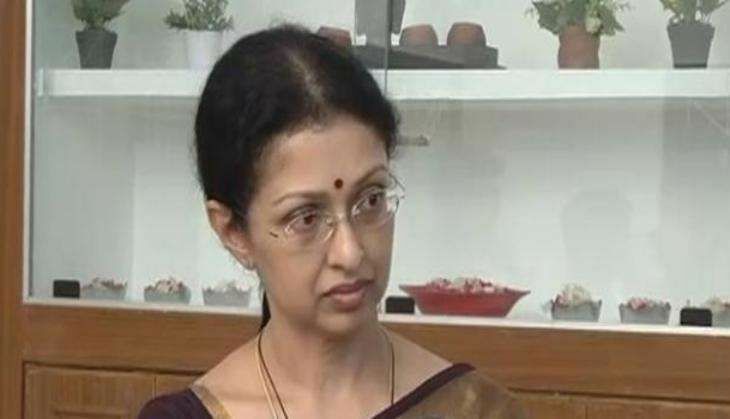 Speaking to ANI after shooting off the letter to PM Modi, Gautami said her intentions were not to question the medical treatment administered to the chief minister, but to know what exactly happened during those 75 days in the hospital. "I am not questioning, I have simply asked what is the sequence of events, what exactly happened during those 75 days that our chief minister was admitted in the hospital. I have not asked for medical details, I have not asked for treatment details, I have not asked anything that can come under patient-doctor confidentiality," she told ANI. In the letter, she asks, "Why this secrecy and isolation of a beloved public leader and the head of the Tamil Nadu government? What/whose authority restricted access to the late Chief Minister? Who were the concerned persons who were making the decisions about Selvi Dr J Jayalalithaa ji's treatment and care when her health was apparently in such a delicate state? And who is responsible for these answers to the people?" Jayalalithaa passed away on 5 December at the age of 68 following a cardiac arrest. She was admitted to Apollo Hospital on 22 September, after she complained of fever and dehydration. Gautami said she would like to know the people who were taking all the decisions regarding Jayalalithaa's treatment. The actor said it's the right of every Indian citizen to know about their democratically elected leaders. While addressing PM Modi, she said, "I am writing to you now, sir, with the complete confidence that you share my anxiety and determination to uphold the rights of every Indian to be aware and informed of any factor that impacts our day to day life." I write this letter to you today as an ordinary citizen of India. I am a homemaker, a mother and a working woman. My concerns and priorities in my life are those that are shared by many of my fellow countrymen, primarily to build a safe and nurturing environment for my family that will allow them to live a safe and fulfilled life. I am also one among the crores who are mourning the recent shocking demise of our late Chief Minister, Selvi Dr. J Jayalalithaa ji. She was a towering personality in Indian politics and was a great inspiration for women from all walks of life. Her leadership of Tamil Nadu, over several terms in office, has brought us to the forefront in many spheres of development. Selvi Dr. Jayalalithaa ji's undeniable strength and determination to persevere against all odds are a lasting legacy that will continue to inspire individuals of every gender to persist in pursuit of their dreams in life. Her demise is all the more tragic and unsettling because of the circumstances over the past few months and the sheer volume of unanswered questions about our late Chief Minister's hospitalisation, treatment, reported recovery and very sudden passing. There has been a near total blanketing of information regarding these matters. Nobody had been allowed access to her and many dignitaries who visited her with deep concern were denied an opportunity to convey their wishes in person. Why this secrecy and isolation of a beloved public leader and the head of the Tamil Nadu government? What/whose authority restricted access to the late Chief Minister? Who were the concerned persons who were making the decisions about Selvi Dr. J Jayalalithaa ji's treatment and care when her health was apparently in such a delicate state? And who is responsible for these answers to the people? These and many other burning questions are being asked by the people of Tamil Nadu and I echo their voice in bringing them to your ears, sir. No doubt some might say that it is a moot point because it has happened as it has, but that, sir, is precisely my fear. I ask these questions now because it is a primary concern and right of every citizen of India to be aware of and informed about their democratically elected leaders. To be aware of their state of health and ability to perform their duties for the larger good of the people. To be concerned for the wellness and comfort of a beloved leader of the masses. And the fact that a tragedy of such tremendous scale should not go unquestioned and definitely, not unanswered, under any circumstances. If this be the case with a public figure of this magnitude, then what chance does the common citizen of India have when he fights for his personal rights? The confidence of every Indian in the democratic process that makes our nation so great is precious and must be protected against all odds. I am writing to you now, sir, with the complete confidence that you share my anxiety and determination to uphold the rights of every Indian to be aware and informed of any factor that impacts our day to day life. You have proven yourself in many ways to be a leader who is unafraid to stand up for the rights of the common man and I am confident that you will heed the call of your fellow countrymen.